Our range of products include cuplock beam brackets. 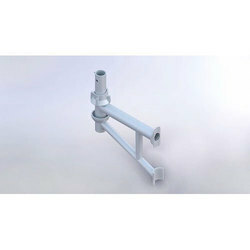 The range of Cuplock Beam Brackets is widely used for the purpose of supporting internal down-stand beam. Beam brackets are used with jacks that accept beam spanning from one bracket to another. This avoids the need of ground based support, which saves the other components that are needed below the drop beam.